Google's Eric Schmidt, along with his daughter Sophie and former New Mexico Gov. Bill Richardson, wrapped up a controversial trip to North Korea earlier this month, during which he urged the isolated state to embrace the Internet or face further economic decline. 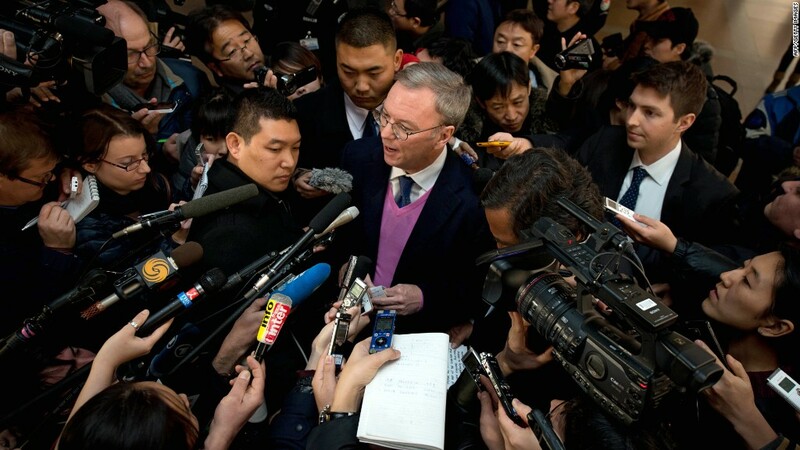 More details about Google chairman Eric Schmidt's surreptitious trip to North Korea emerged this weekend in a blog post by Schmidt's daughter and traveling companion, Sophie. She posted her impressions on a Google Sites page, sharing details of what the nine-person delegation, led by and former New Mexico Gov. 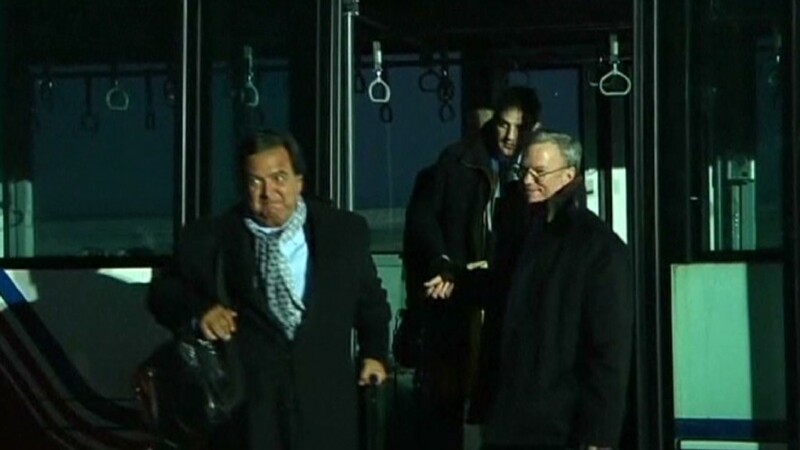 Bill Richardson, saw on their controversial visit. Eric Schmidt confirmed the page's authenticity to news site Quartz. A Google representative did not return a call seeking comment. The younger Schmidt described a "very, very cold" and "very, very strange" journey overseen by a pair of official minders -- two, she wrote, "so one can mind the other." "It's impossible to know how much we can extrapolate from what we saw in Pyongyang to what the DPRK is really like. Our trip was a mixture of highly staged encounters, tightly-orchestrated viewings and what seemed like genuine human moments," Schmidt wrote. "We had zero interactions with non-state-approved North Koreans." The trip got off to surreal start: North Korea's customs form asks arriving travelers to declare any "killing device," GPS technology, or "publishings of all kinds" they might be carrying. The travelers had access to North Korea's mobile network, which allows international calls but has no data service. They also got a look at North Korea's national intranet, which Schmidt described as "a walled garden of scrubbed content taken from the real Internet." One of the more striking things Schmidt described was a visit to Kim II Sung University e-Library, where she saw about 90 people sitting at computers. The group appeared to be staged, though: A few people scrolled or clicked, but the rest just stared straight at their screens. "When our group walked in -- a noisy bunch, with media in tow -- not one of them looked up from their desks," she wrote. "Not a head turn, no eye contact, no reaction to stimuli. They might as well have been figurines." North Korean leader Kim Jong Un has expressed interest in beefing up the country's technological and industrial standing in the world, but the regime's plans remain largely undefined. Google (GOOG) has been expanding its presence throughout Asia in recent years, but censorship concerns have thwarted its efforts. Eric Schmidt is currently working on a book about the Internet's ability to embolden citizens oppressed by autocratic governments, a subject he's written about at length in the past. Some of those the delegation spoke with were technically savvy, according to Schmidt's daughter. They asked questions about when the next version of Android would come out ("soon") and if Schmidt could help them get North Korean apps listed in Google's Play Store. Sophie's response: "No, silly North Koreans, you're under international bank sanctions." Sophie Schmidt's photo-filled diary has a chatty, informal tone, and includes a few digs at her dad's products. Anyone irked by the travelogue's layout should blame Google Sites "for limited functionality," she quipped. Schmidt seems uncertain what to make of everything she saw. "Nothing I'd read or heard beforehand really prepared me," she wrote. "The longer I think about what we saw and heard, the less sure I am about what any of it actually meant." Eric Schmidt offered his own, more carefully scripted comments about the trip in a Google+ post that went up early Sunday. "Overall, the technology in North Korea is very limited right now," he wrote. "As the world becomes increasingly connected, the North Korean decision to be virtually isolated is very much going to affect their physical world and their economic growth. It will make it harder for them to catch up economically."